The leaf foliage is virtually done. There is still some leaves changing along the Hudson River. But, in the Catskill Mtns they are considered done. The leaf foliage is coming to a close very quickly. But, there are still a few spots out there with some limited number of leaves. There are still leaves off the Eastern Escarpment to the Hudson River. 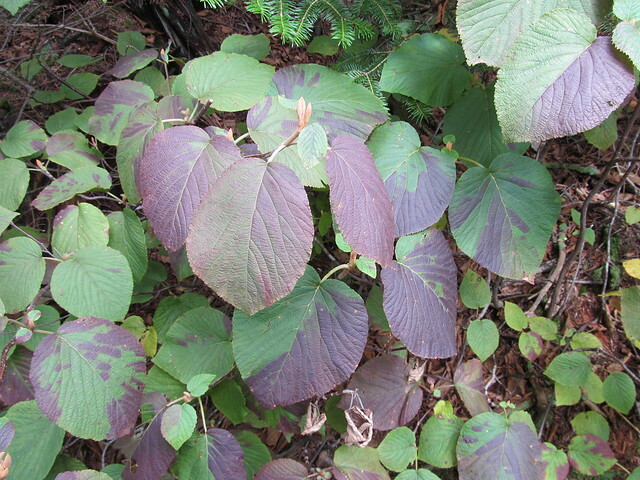 The leaf foliage peaked on October 11th. On Saturday October 12th, the Catskill Mountains received high winds, which stripped many of the south facing slopes of leaves. Oddly enough, north facing slopes may still have green leaves, but most south facing slopes have no leaves. For the weekend of Oct 19/20 only elevations outside of the Catskill Mtns will still have leaf foliage. Some select areas in the Catskill Mtns may still have some leaf foliage. Over the last couple of days the leaves have been changing very quickly. Some of the reds and yellow are now coming out. It looks like leaves will peak in the northern Catskills this weekend. In the lower Catskills they will probably peak the following weekend. The browning of the leaves is significant this year. Some people mistake leaf browning for the changing of the leaves. We are expecting a minor frost at high elevations Sept 23 & 24. Surely not into full color, but they're doing that sort of streaky purple thing that viburnums do. Yeah, the trees look like they are more then eager to change. Just not cold enough to make them snap. Maybe tonight it will get cold enough higher up. Great picture Jon! Lots of browning. Which I always find disappointing. The leaves changed so quick this week. Didn't expect that to happen. The leaves changed so early this year. Sort of odd if you ask me. mike wrote: Great picture Jon! Lots of browning. Which I always find disappointing.